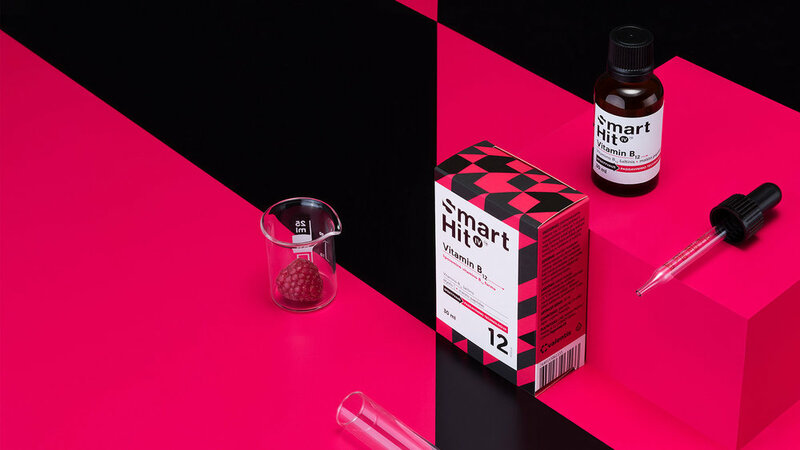 Critical designed the geometric packaging for Smart Hit, a dietary supplement brand. With a bold color scheme along with black shapes, the design stands out within the market. “Smart Hit is the first liposomal vitamin formula in Lithuanian supplement market. This formula has better vitamin observation than the regular vitamins, therefore it is a smart choice.